Should you focus on eliminating your debt or save for retirement? This is one question most personal finance pundits seem to disagree on all the time. The question would never arise if we lived in a perfect world as it obviously makes more sense to save for retirement than pay off debts but unfortunately ours is never a perfect world. So should you postpone your 401(k) contributions and focus on paying off your debts? In this article, we explore both sides of the coin and attempt to find the best way to unravel this financial puzzle. We have always been reminded over and over again to prioritize retirement savings even when we are young through IRA, 401(k), or any other retirement plan. It is indeed true that the compound interest from retirement savings alone can make anyone a millionaire, at least after several decades of saving. I’d even further suggest that the earliest economic planners had the intention of making everyone a millionaire at retirement. However, the reality of life is a whole different story. Proponents of the retirement priority haven’t taken into account that when hard times hit, people will often turn to their retirement accounts to help make ends meet, especially when there’s no other option available. You wouldn’t go for a high-interest payday loan when you can tap to your retirement kitty to get you out of a sudden financial emergency. There are indeed times when you absolutely have to postpone retirement contributions to focus on eliminating debt. Most young adults carrying the burden of student loans and a host of other personal debts find it hard to progress in life while making monthly payments for benefits they’ll see after retirement. However, no matter how you look at it, conventional wisdom tells us saving for a rainy day, or post-retirement days, is the most important thing you can do in your life. When should you prioritize debt elimination over saving for retirement? What happens when you are facing a financial mess close to bankruptcy? In such as situation, saving for retirement is no doubt the last thing on your mind. This is not a farfetched scenario. With the emergence of huge student loan debts, a majority of young adults are facing a similar situation, if not worse. Take an example of someone with annual earnings of $30,000 and a student loan debt of $60,000 as well as other debts. The young adult has no other option but to focus on eliminating the debts before he or she can think of anything else, least of all saving for the distant future. He or she will prioritize paying off debts then focus on other financial obligations later. 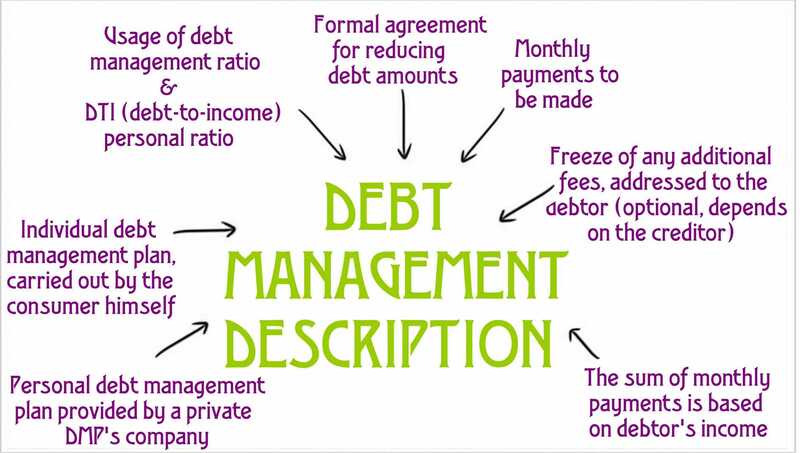 What are the benefits of eliminating your debts first? Anyone with a significant amount of debt knows the emotional toll such a situation takes on his or her life. You spend sleepless nights trying to figure out how you are ever going to pay bills and meet your needs every month, much less progress in life. When you get out of debt, you get a peace of mind and can concentrate on how you are going to progress in life. You regain control over your finances and even have surplus funds to invest and redirect to your retirement savings. Paying off your debts first allows you to maximize your retirement savings. You can prepare for retirement much more comfortable than trying to save while in the midst of debt. With less debt, you have lower monthly expenses. If you consistently work towards eliminating your debt and avoid accruing more debt, you’ll have fewer expenses each month and free up more cash in future. Reducing your debt boosts your credit score. You’ll be eligible for lower interest rates if you take a new loan to buy a car or home. When you have lower balances you pay less interest and save money in the long-run, which you can later channel to your retirement savings. There’s another benefit of eliminating debt first that we hardly consider. The terms of your loan are fixed but the results of an investment such as your retirement savings are not. The value of stocks can fluctuate but debts don’t change. If for example, you prioritized retirement contributions over debt elimination and unfortunately the stock market crashed, close to 40% of your retirement assets would be wiped out but your debt would still remain intact. You’ll still owe as much as you did before the crash happened. Paying off your debt can be viewed as a guaranteed investment, in a way, because it eliminates the interest charged to the debt and guarantees better cash flow in future. There are circumstances where contributing to your retirement makes more sense than paying off your debts first. It is not only a fiscally good thing to plan ahead but having some money in the bank at all times can be reassuring too. Here are a few scenarios where saving for retirement rather than eliminate debt is the more prudent thing to do. When you get older and facing retirement in the near future, the wisest thing you can do is make your retirement fund a top priority over everything else, including paying off debts. If you have a good employer who can match contributions towards your 410(k), then why not take the money? The contributions will compensate the interest accumulated by your unpaid loans. You may even concentrate on saving for retirement first depending on the type of debt you have. If it’s not a credit card debt but a mortgage debt, then you can put the mortgage payments on hold and save for retirement. A mortgage debt has a lower interest rate compared to a credit card debt, which reduces its urgency. If your debt amount is not significantly large, you can continue paying the minimum and saving the rest of your money on your retirement kitty. You’ll soon clear away the debt if it has a small balance while saving for retirement at the same time. There are times when you can’t afford to meet your debts minimum monthly payments while saving for retirement at the same time. In this case, you can tap into your retirement savings early. While this is not a recommended route to take, there is a way you can do it responsibly. You have two options when you decide to dip into your 401(k) savings. The first way is to take a distribution and withdraw funds from the 401(k) permanently. The second way is by taking a loan by borrowing from the 401(k) with the intention of replenishing it when you get more funds. If you go the distribution route before you have attained the age of 59.5 years, you’ll be required to pay a 10% tax on the funds you withdraw. The money will not collect any interest. If you decide to borrow from the 401(k), you’ll neither pay the 10% tax nor lose interest. You can even replenish the amount you borrowed in a few years if you are still working. Considering the two options, borrowing from the 401(k) is definitely the better and more responsible option. Do you have to wait until you are 100% free of debt to start saving? Saving for retirement is often the last item on most people’s lists of financial priorities. There are always more pressing needs and financial demands than saving for retirement, such as bills, down payment on a home and saving to buy your next car. Some of these pressing needs cannot be totally and often lead to delays in retirement saving year after year. This is why you shouldn’t wait until you are 100% debt-free to start saving for retirement. It’s simply not practical. Debts will always crop up as soon as one is cleared and unexpected emergencies have a way of popping up when least expected. The time to start saving for retirement is now. You can do it by balancing your finances. Finding the right balance in your finances is important in life. It is essential to balance your financial obligations and needs for both short-term and long-term success. Financial balancing, in this case, means dedicating a portion of your income to paying off debts and another portion to saving for your retirement. In this way, you ensure that both financial obligations are met. You can achieve this financial balance by having a plan that sees to it that all your financial obligations are addressed. Your financial life is like a wheel with each spoke representing a specific concern. If you focus on one or a few spokes, your financial wheel loses balance and will not move forward. If you are not in the midst of a serious financial difficulty that needs immediate debt elimination measures, you can divide your income almost evenly pay off debts while saving for retirement at the same time. Finding the right financial balance depends much on your unique financial situation. However, regardless of your current situation, you can use the numbers and percentages in the following guide to working out a balance in your finances depending on your unique circumstances. 1. Set your debt-to-income ratio at 36 percent or less. Your loans and credit card payments should be 36% of each check you receive every month. 2. Dedicate not more than 10% of your income to credit card payments. If the minimum payment is less than 10% of your paycheck, go ahead and pay the larger amount to minimize monthly interest charges. If your credit card payments require than 10% of your income, look for credit consolidation or counseling services. 3. All your savings, including retirement savings, should be between 5 and 10 percent of your total income. If your budget is tight, or if you have limited income, split the money you save between your other savings and your retirement kitty but if you have more available you can dedicate between 5 and 10 percent to regular savings and 5 percent to retirement. Focus on saving more for retirement especially if you are starting off at a later stage in life. More importantly, the amount you save for retirement largely depends on the goals you have and when you start saving. For instance, if you start saving for retirement in your 20s, you can start with a lower amount since you still have decades ahead to save more and grow your retirement contributions in time before you ever need to use them. If you are starting your retirement saving journey in your 40s, you’ll need to save more aggressively to catch up on the years and growth you missed earlier in life. The latter you start saving for retirement in life, the more you are required to put aside every month. The simple answer to the question of what to prioritize between debt elimination and saving for retirement is to do both in the most practical way possible. Everyone should aim to do both whenever possible. If you are in a position to pay off your debts and fund your retirement plan, find the right financial balance and achieve both goals at the same time. Retirement may seem decades away but it is important to start saving for it as early as possible.